We, the faith-filled community of Saint Raphael School, are inspired to celebrate and share our God-given talents, be passionate life-long learners who strive for academic excellence, and foster a spirit of respect, reverence, and responsibility as we journey together empowered by the Gospel message to serve the Lord. Our Catholic identity, values, and ethics must be integrated into the daily life of our school. We are all called to be the face of God to one another. All children have a right to a safe and nurturing environment. In striving for academic excellence where each child is challenged to meet their full potential. Lifelong learning is essential for success in a changing society. Parents are the primary educators of their children and therefore parent communication is important to the success of the child. Parents and teachers are role models for the students. As a Catholic school community we have a responsibility to serve our parish, our community, our country, and the world. Saint Raphael School exists to further the mission of Jesus Christ: to love God and one another. ​The religious purpose of Saint Raphael School is to inspire our students to continue our mission. Through the teaching of Catholic doctrines, experiences of worship, and opportunities to serve in the community, our students grow spiritually and morally. God’s love becomes visible through examples of each member of our faith community. Through learning about the mission of Jesus, students develop positive self-awareness, responsibility, and self-expression, which lead them to become well-rounded individuals. 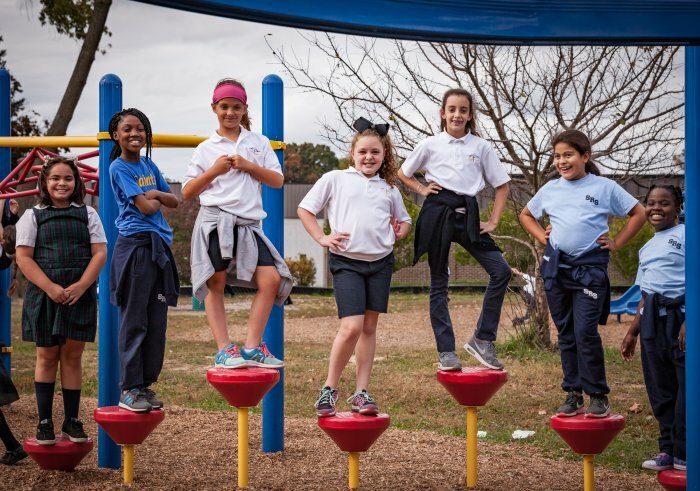 Through a combination of spiritual, intellectual, social, and physical programs, each child will have a broadened perspective for the challenges ahead. Along with cooperative efforts of the pastoral staff, the school staff and families, the students are given every opportunity to grow to their full potential.